A former Morgan Stanley broker, whose career was hurt in part by the firm’s joint venture with Smith Barney, won’t have to pay his old employer more than a half a million dollars. A Financial Industry Regulatory Authority arbitration panel said that John Offenburger’s $519,000 outstanding promissory note balance was “unenforceable” and that it was compensation for lost income after he decided to leave the firm, according to the award posted on agency’s website. Mr. Offenburger had joined Morgan Stanley in Dublin, Ohio, in late 2008 from Merrill Lynch, in part because he was offered a management position in addition to his advisory practice, according to his claim. Morgan Stanley paid him a signing bonus of $866,400 in the form of a forgivable loan over a nine-year period, according to a brief filed by Morgan Stanley. But in early 2009 Morgan Stanley formed a joint venture combining its wealth-management business with Citigroup Inc.’s Smith Barney brokerage. That deal eliminated the management position Mr. Offenburger hoped to get. He eventually left the firm in 2012, according to Finra records. “Jobs were in flux and subject to a new hierarchy,” and Mr. Offenburger became “a victim of circumstances,” Morgan Stanley said in its brief. 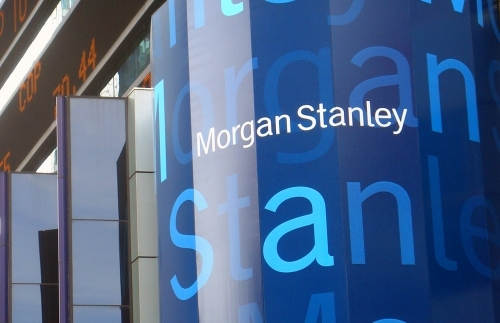 Mr. Offenburger claimed Morgan Stanley failed to fill promises to make him a manager and that he lost income due to the firm’s failing technology. After he left, he also claimed that Morgan Stanley used defamatory language in conversations with his clients to prevent them from following him to Wells Fargo Advisors Financial Network. As a result, Mr. Offenburger was able to transfer only about 35% of his customer assets from Merrill and his annual revenue fell by about $500,000, to about $250,000, he claimed. Morgan Stanley said in its brief that “technological issues are encountered in nearly any job that relies upon computers,” and that the firm “cannot fairly be held responsible for the independent decisions of customers to remain at Merrill Lynch.” A spokeswoman for Morgan Stanley declined to comment. Mr. Offenburger had asked for almost $1.4 million in damages. Nevertheless, “We are extremely pleased” with the arbitrator’s decision, says James Eccleston, his lawyer. Securities lawyers said that brokers who try to prevent their former firms from collecting promissory notes handed out as signing bonuses at the beginning of employment mostly fail because the notes are structured as forgivable only during a broker’s actual employment. But securities lawyers say brokers can win such cases when their contracts were breached by the firm, or when state labor laws were breached related to unpaid wages or defamation.